Ok so I thought I'd let you all behind the scenes of M:MK Coaching. There has been #loads going on backstage & I can't wait to launch & share it with you all. It's amazing how, when a woman chooses to follow her dreams, the possibilities of her vision is endless. I have been following my dream & have become my own proof that my formula to be able to follow your own bliss really works! I decided to start making things happen, stop thinking about it, & start doing it. Stop visioning it & start actioning it. Stop being & start doing, not only in my business but also in my life! It really is amazing (I love that word lol..) how in the midst of all this evolving my most biggest celebration has come from me reconnecting with my 'signature self'! As woman & mothers we are strong, powerful & we have an inherent ability to make things happen, & that includes our dreams! So stick at it my lovelies, keep going, start living in the now rather than the later. 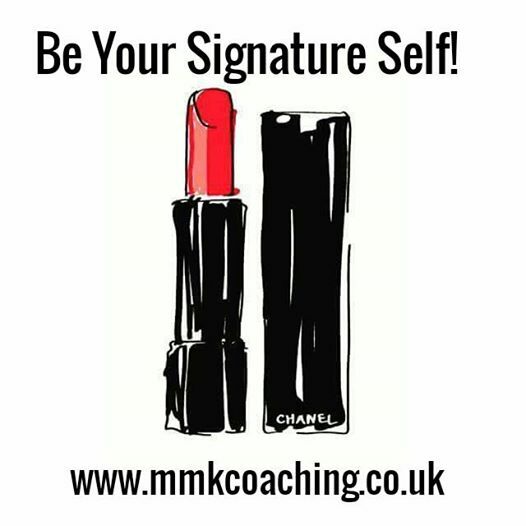 Reconnect with your true signature self & follow your bliss, not only in your business, but also in your life!